From acclaimed author (and cat lover!) 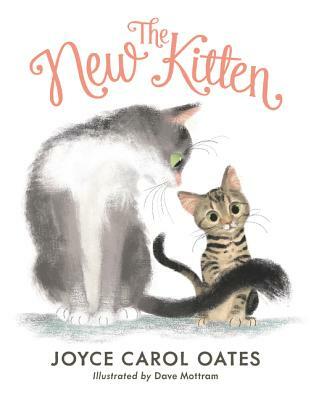 Joyce Carol Oates comes a charming, heartwarming picture book. As the only cat in her house, Cherie is accustomed to being showered with treats and affection. So when her family brings home a new kitten named Cleopatra, Cherie resents that she’s no longer the center of attention—and she can’t believe all the trouble that the kitten gets away with! Is one home big enough for two kitties? Beautifully illustrated by Dave Mottram, this picture book will resonate for any reader who has—eventually!—found the joy in sharing the spotlight with a new family addition. Dave Mottram has always loved drawing animals. Even before grade school, Dave spent hours drawing and dreaming of being an artist. Not much has changed. He’s now a full-time illustrator living in Ohio, and some of his recent books include Wordy Birdy and Mighty Tug. He paints traditionally and digitally with color and layers that create a sophisticated style that is both childlike and appealing for adults. Dave enjoys family adventures with his wife, daughter, and Gracie, the black lab.